DST exists to represent majority view of our supporters. 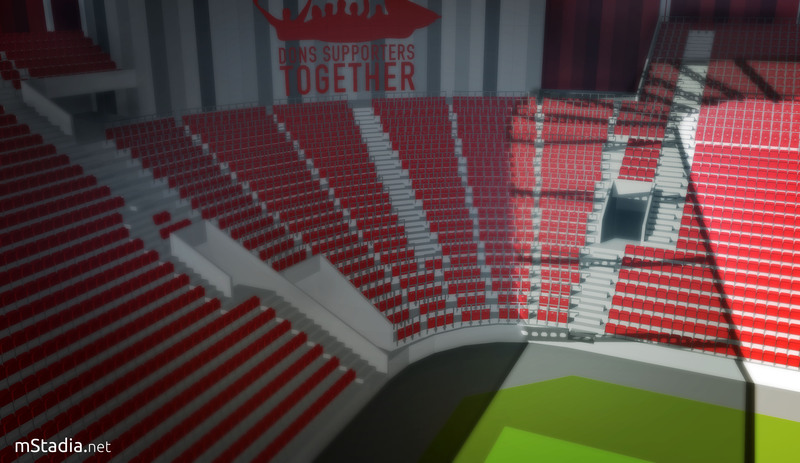 When we conducted a survey in relation to Kingsford Stadium, 70% of fans said they were in favour of safe standing areas being included as part of the stadium design and 52% of fans said they would use such an area. 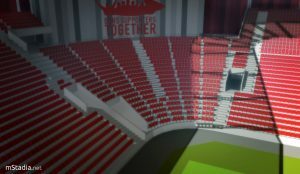 Therefore, one of our biggest priorities is to convince the club to include a healthy allocation of safe standing at our new home. 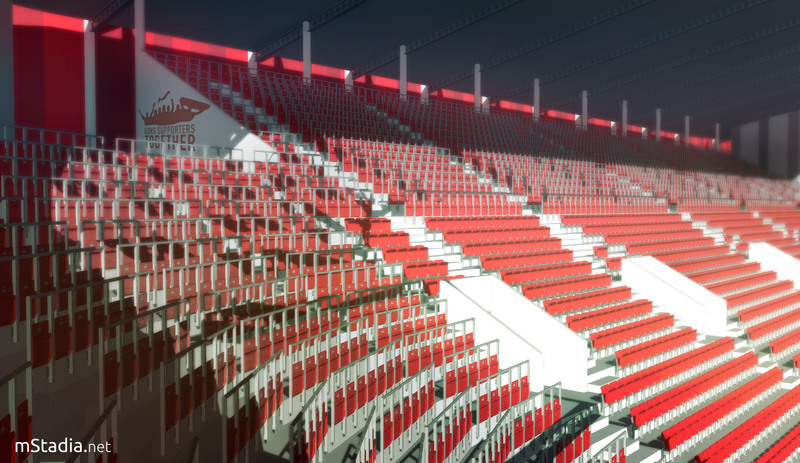 To help give the fans an idea of what safe standing could look like at Kingsford Stadium, we had a stadium designer, Mateusz Cegielski from mStadia.net, produce some example images for us. Please note these are not images created by the club or representative of the final plans. 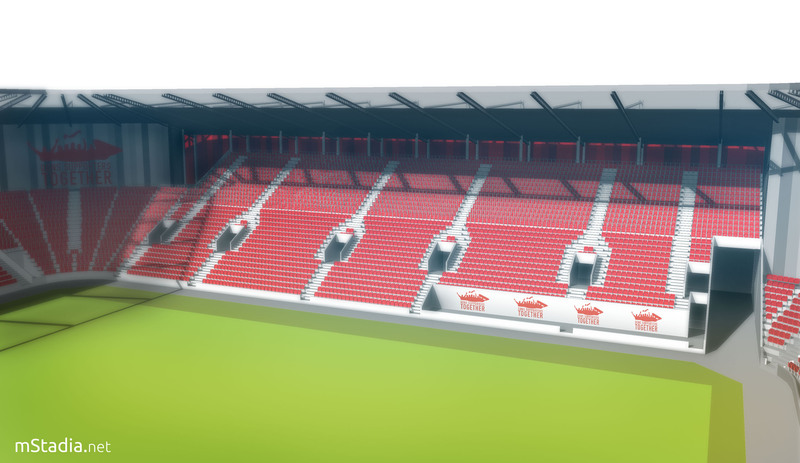 The example images (click for the full-size versions) below show safe standing in two parts of the stadium: a full corner, which we estimate would hold approximately 600 supporters; and the rear half of an end behind a goal, which we estimate would hold approximately 1,700 supporters. Therefore, total capacity for standing spaces in these examples would be in the region of 2,300, which equates to 11.5% of total stadium capacity of 20,000. This would leave 17,700 seats available for those that prefer to sit. Using a corner and the rear half of the end behind the goal means that the sight lines for those sitting are not affected. We want the standing parts of the ground to be vibrant and noisy, which would be difficult if they are sparsely populated. With that, we will ask that the club strongly considers using an entire end behind the goal for safe standing, which would be in the region of 3,500. With the issue to be debated at Westminster due to public demand; Shrewsbury Town on the cusp of installing a fan-funded rail seating section; the resounding success of the section at Parkhead; and our survey findings, we believe the interest in safe standing may very well justify an entire stand behind the goal, as is traditional in mainland Europe. With Pittodrie, Aberdeen were pioneers in British football as the first ground with dugouts and it being the first large, all-seater stadium. 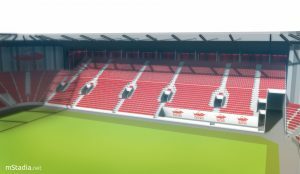 Aberdeen moved with the times then and if they do so now and consider a full stand of rail seating behind a goal at the new stadium it could be the envy of British football. It is vital the club survey the fans to accurately assess the demand for standing, and we will ask they do so. We circulated these image to our members and asked for their views, which you can read here.